What is a surety bond, and why do I need one for my Denver, Colorado Sidewalk Contractors License? 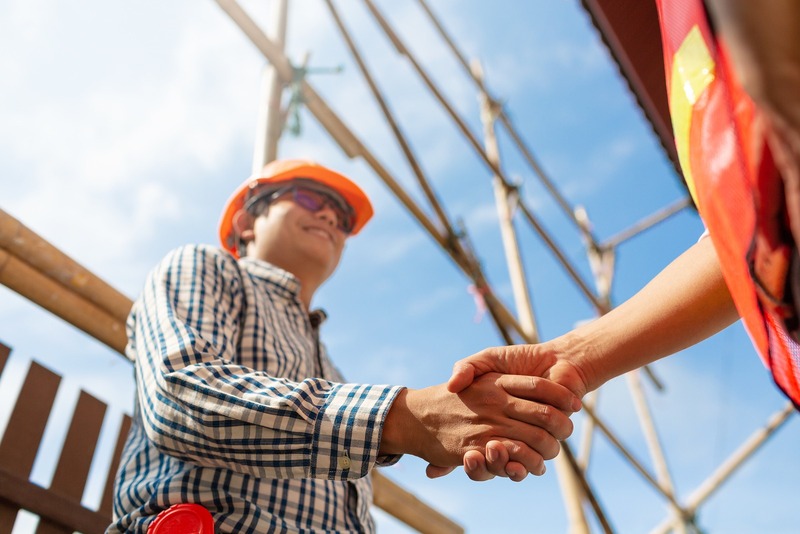 A surety bond is a three-way agreement between a Principal (The applicant for a Sidewalk Contractor License in Denver), an Obligee (City of Denver), and a surety company (the company backing the bond). A surety bond does NOT function like an insurance policy for the Principal; instead, it guarantees that the Principal )Cement Sidewalk Contractor) will observe all Denver ordinances, rules, and regulations relating to laying sidewalks or driveways, making curb cuts, laying curbs and gutters, and installing drainage structures in or connected to right-of-way or public property of Denver. These are specified in the Revised Municipal Code of Denver, Section 49-646. The bond also ensures the cement sidewalk contractor will satisfy any and all claims and damages caused by any act or neglect on the part of the contractor relating to the work in order to prevent the City/County of Denver from incurring said claims and damages. Under the surety bond, the public of Denver has no financial liability in the event that the Principal violates this agreement. You must file this bond with the City and County of Denver before your Sidewalk Contractor License will be issued. In the event that the Principal violates the terms of their license or bond, there may be a claim filed against the bond. The surety company will issue payment for the damages. The Principal must fully repay the surety for the payments through the bond. In addition to repayment, the surety may revoke the bond, and the Contractor License will be invalid until a new bond is filed. A history of surety bond claims will complicate any future applications, and it is important that you, your employees, agents, and/or representatives fully understand the terms of your license and bond to avoid any issues. This bond ensures that the City of Denver is not liable for any damages, claims, demands, expenses or charges of any kind (including claims of patent infringement) arising from any act, omission, or neglect of the cement sidewalk contractor. Any certified contractor entity seeking a right-of-way license as a cement sidewalk contractor in the City/County of Denver for the purposes of laying sidewalks, laying driveways, making curb cuts, laying curbs or gutters, or installing drainage structures within or connected to public property or right-of-way of the City/County is required to file this bond with the Denver Community Planning and Development Office. To apply for your Denver, CO Sidewalk Contractors License Bond, complete and submit the application below. You may also download a .pdf application, and email it to apps@southcoastsurety.com, or fax it to (949)361-9926. If you choose to email or fax your application, please download and complete a payment form and attach it to your documents.